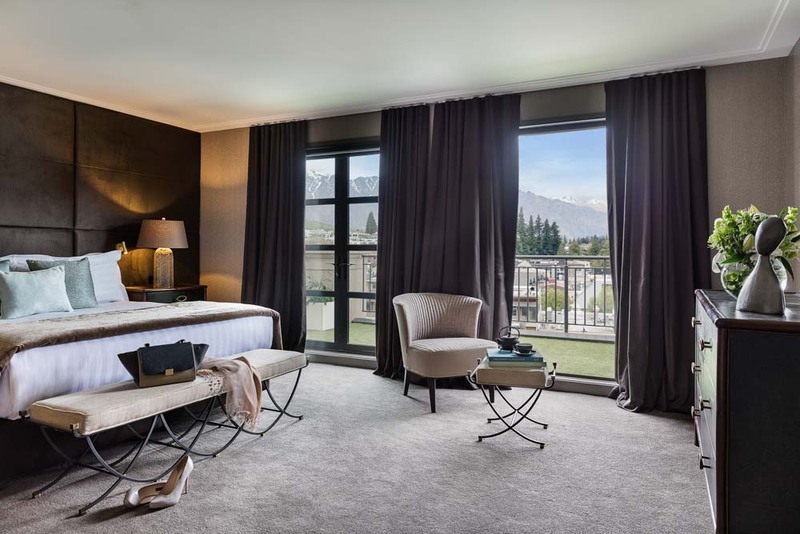 The opulent bedroom of New Zealand's luxury hotel; Sofitel Queenstown Hotel & Spa Penthouse No. 10. 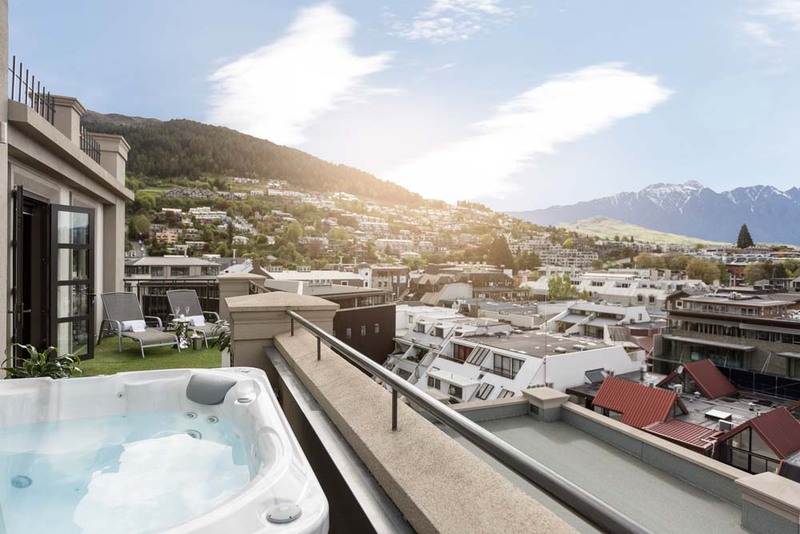 Soak in the view at Sofitel Queenstown Hotel & Spa's Penthouse Jacuzzi. In a town known for its snow-capped peaks that soar dramatically towards the infinite heavens, getting high is a favoured pastime. New penthouse offerings from two of the most iconic properties in town are pushing the sky’s-the-limit premise even further. Eichardt’s Private Hotel now boasts New Zealand’s most expensive hotel suite: its ultra luxe The Penthouse, part of a stunning new $6-million development that has also added a 200-seat eatery and two Lake View Suites to the roster. For $10,000 per night, guests get 180-degree views of Lake Wakatipu, a terrace spa, in-room sauna, 24/7 butler, a commercial-grade kitchen, endless Krug Champagne, a private chef and a Range Rover and driver at their disposal. Meanwhile, Sofitel Queenstown Hotel & Spa‘s Penthouse No. 10 has undergone a $2-million update with new furniture, artworks, and a refreshed colour palette added to its list of inclusions like a private movie theatre, six-seater jacuzzi, his and hers walk-in wardrobes and personal butler. And all for just $5000 a night.